10" 21" 13" 15" 24"
3. Q: How could I get samples9 A: Due to most of our products are high value products, free samples is not available in Hopestar. Buyer covers the shipping cost, Sample fee can be deducted from the first order OEM & ODM sample lead time to be discussed. 8. We give Best Service Guarantee to Customer 9. We believe Customer Satisfaction and Maintain Promise offered to Customer. 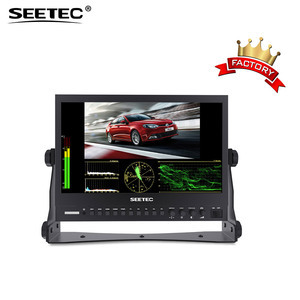 Comes with a U Shaped bracket, a hot shoe mount and a sun shape for using the monitor in different situations. 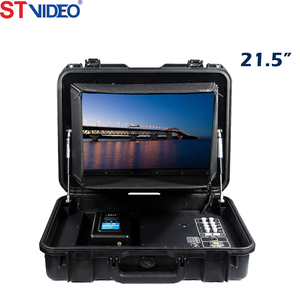 (Not included) Aluminum alloy housing design, durable and sturdy, a good protection from dropping. 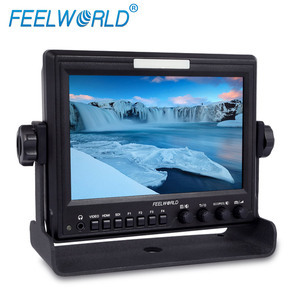 Comes with a U Shaped bracket, a hot shoe mount and a sun shape for using the monitor in different situations. Known for the outstanding performance of our products at bargain price points, we export millions of units worldwide annually. 2. Shipment How long will it takes to deliver goods9 We will deliver your goods within a week after payment. We have well-trained and professional sales & after-sale services persons who can speak English fluently. 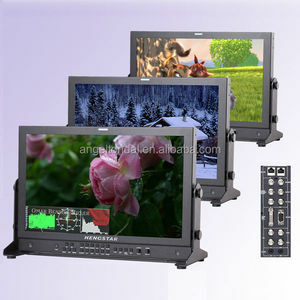 Lilliput 17.3" Full HD pull-out Rack monitor with waveform, vector. New 3 parameters SPO2, PR, PI+alarm set finger pulse oximeter blood oxygen saturation waveform oximetro monitor Description of the fingertip pulse oximeter JPD- 500E: Display Type: Color LED display SPO2: Measurement range: 35%~100% Resolution: 1% Accuracy: &plusmn;2%(70%~99%). Type BF Direction sensor: Four-way display(optional) Light sensor: Red light(wavelength 662nm~666NM 7mW) Infrared light(wavelength 890nm~900nm 5.5mW) Data update cycle: Not more than 12s Specifications of the fingertip pulse oxmeter JPD-500E: Item No: JPD-500E Item: Fingertip Pulse Oximeter Display Type: Color OLED display SpO2: Measurement range: 35% ~ 100% Resolution:1% Accuracy:&plusmn;2%(70% ~ 99%) . 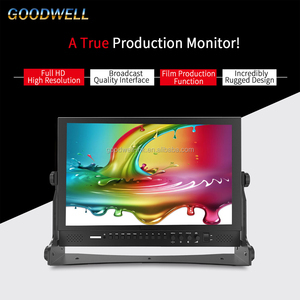 If it is our quality problem, we will replace the new on or provide revelant spares and parts Q: What is the MOQ9 A: For our first cooperation, your small order is acceptable Q: What kinds of certificate do you have9 A: CE, ISO, TUV Q: How long is the production time9 A: For samples, the lead time is about 2~7 days. 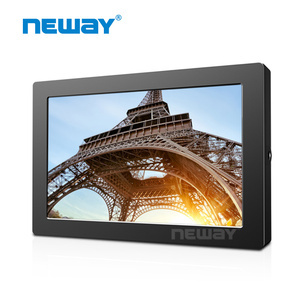 &hearts; Display the output waveforms synchronously, which is convenient for user to compare with the test equipment. &hearts; It integrates the functions of SD socket interface, user can output the custom waveform by this device. &hearts; Built-in templates list to provide the waveform that is expressed by each preset sequence number, which is convenient for searching. 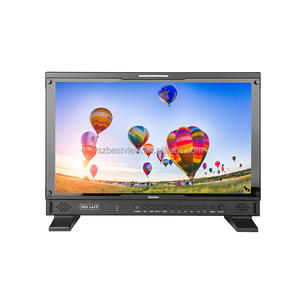 Alibaba.com offers 1,502 waveform monitor products. 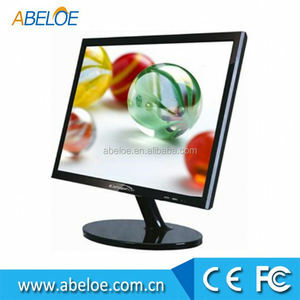 About 13% of these are examination therapy equipments, 10% are lcd monitors. A wide variety of waveform monitor options are available to you, such as 300cd/m, 400cd/m, and 350cd/m. You can also choose from dvi, ypbpr, and hdmi. As well as from 700:1, 1000:1, and 800:1. And whether waveform monitor is 1920 x 1080, 1280 x 800, or 1920 x 1200. There are 1,502 waveform monitor suppliers, mainly located in Asia. The top supplying country is China (Mainland), which supply 100% of waveform monitor respectively. 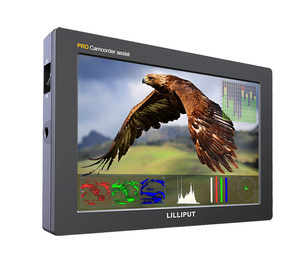 Waveform monitor products are most popular in North America, Western Europe, and Africa. You can ensure product safety by selecting from certified suppliers, including 586 with ISO9001, 308 with ISO13485, and 252 with Other certification.